This is a task-based, skills-based book for CLAIT Plus, containing practice assignment material that mirrors the OCR-set material. 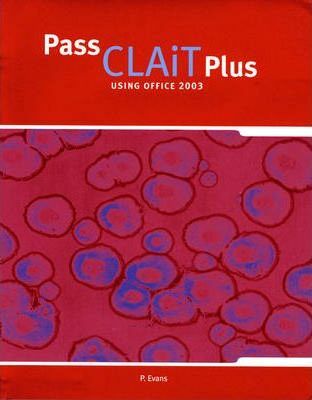 It follows the approach used in the "Pass New CLAIT" book whereby all assessment objectives are covered using an easy-to-follow, task-based approach. Covers all the units for CLAiT Plus:; Unit 1: Integrated e-Document Production; Unit 2: Manipulating Spreadsheets and Graphs; Unit 3: Creating and Using a Database; Unit 4: e-Publication Design; Unit 5: Designing an e-Presentation; Unit 6: e-Image Manipulation; Unit 7: Website Creation; Unit 8: Electronic Communication.